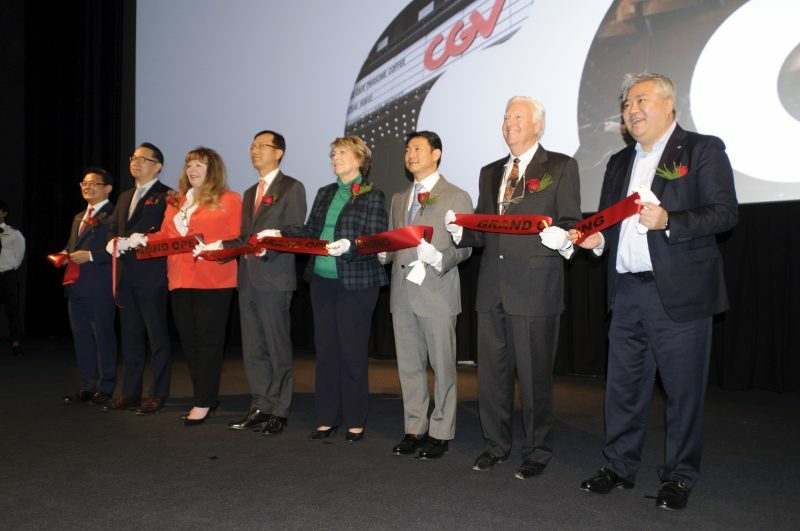 On Friday, January 27th CJ CGV, the South Korean based cinema operator, jump started its expansion into the United States market when it opened a brand new theatre complex in Buena Park, California. 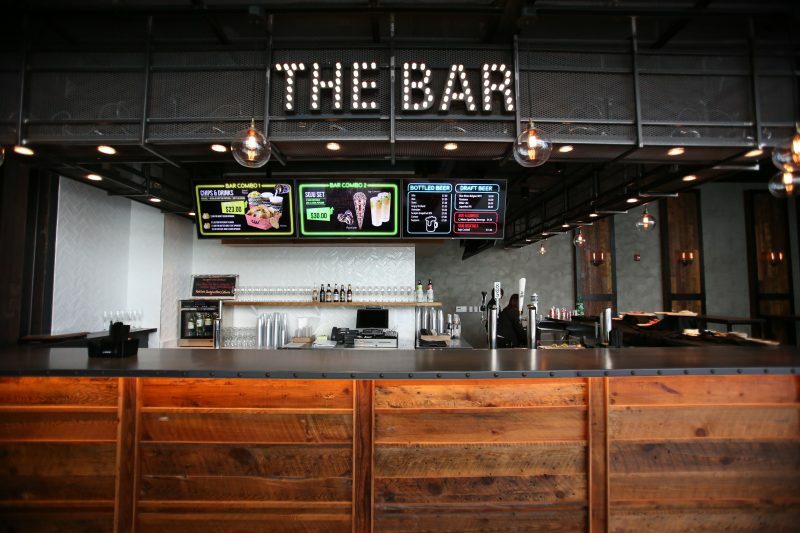 The venue, which will act as their their flagship location in the US, is a new build in a freshly opened retail facility with eight screens and 1,187 seats. 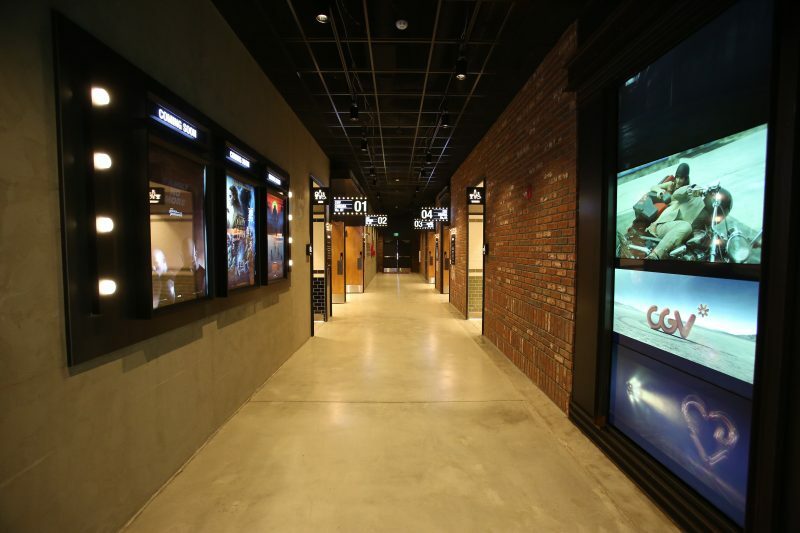 Two of those screens will feature new technology developed by CGV’s sister company, CJ 4DPlex, which provide immersive viewing experiences for moviegoers. One screen is outfitted with 4DX, a technology that synchronizes more than 20 environmental effects such as fog, lightning and rumbling seats with the onscreen action in a movie. A second auditorium boasts ScreenX, which projects images along the side walls wrapping the audience in 270 degrees of visuals. Both technologies were demonstrated during a well attended ribbon cutting ceremony at CGV Buena Park last Friday. 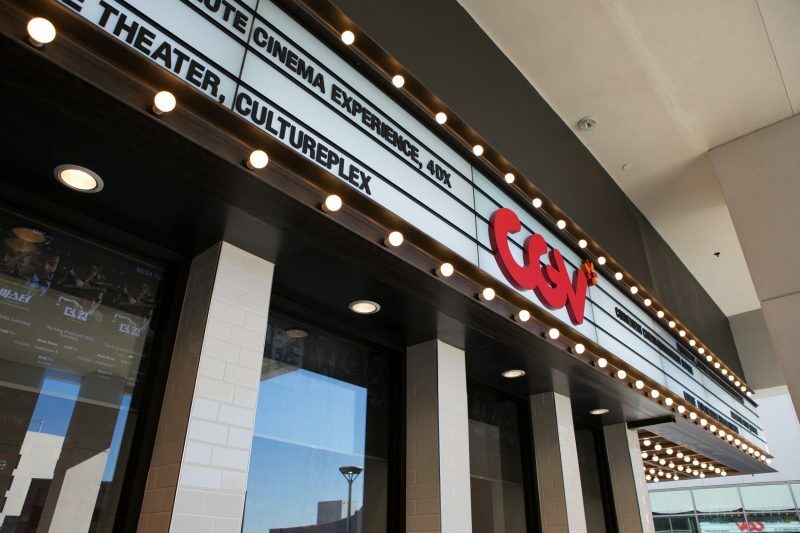 Already one of the largest motion picture exhibitors in Asia, CGV strategically selected Buena Park for its newest location for a number of reasons. The location in Orange County, California is just a few minutes drive north of Disneyland, an area with one of the country’s largest (and constantly growing) populations of Asians. It has a deep knowledge of the demographic from which it intends to draw patrons, a benefit Mark Shaw, CJ CGV Americas, had to pitch to the Hollywood studios it does business with. Indeed, top executives from many of the studios were in attendance at the opening ceremony, which underscores another strategic point to the Buena Park location; it’s proximity to nearby Los Angeles county means that CJ can use it to promote emerging technologies being developed by 4DPlex with studios as each new offering is implemented in a practical setting, rather than in a lab. The Buena Park theatre will be home to the fifth 4DX screen and third ScreenX auditorium in the US. 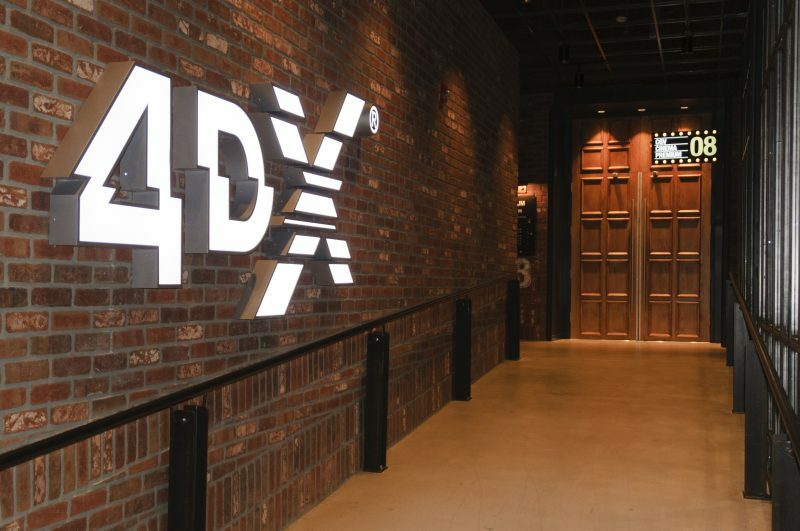 4DPlex has upwards of 30 additional 4DX auditoriums planned in the United States thanks to a deal with Regal Cinemas. 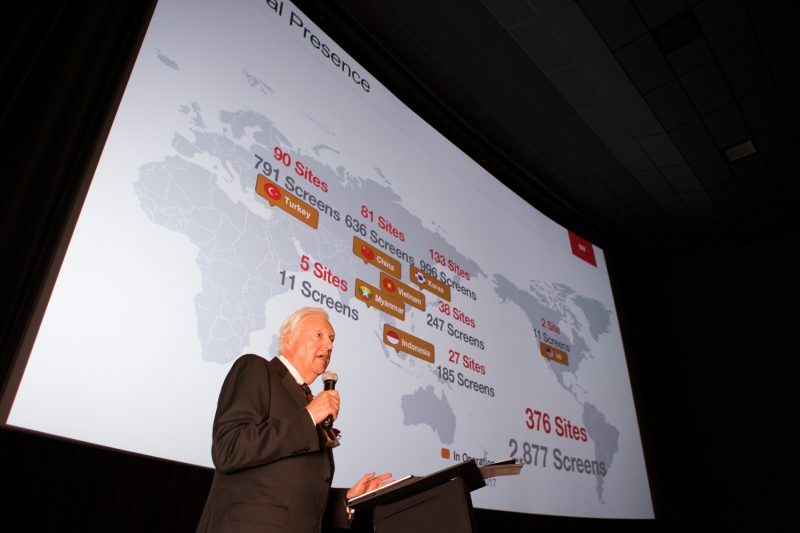 Presently there are 355 such auditoriums in 44 countries around the world. In 2016 there were 110 titles, 50 of which were Hollywood blockbusters, released in the 4DX format. Meanwhile, there have been only 13 titles produced for ScreenX since 4DPlex launched the format in 2014 with an additional 16 planned for this year. The company is aiming to have roughly 400 screens throughout North and South America by the end of 2018. 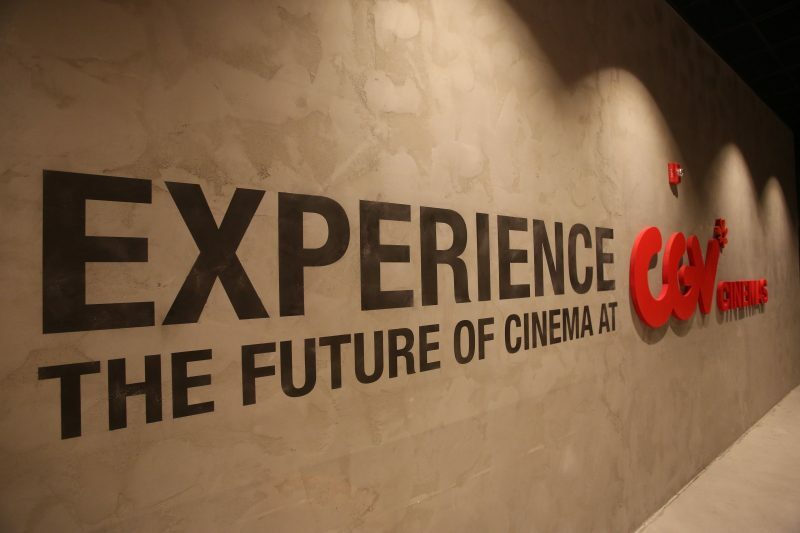 CGV however made it clear that, as they try and evolve the moviegoing experience, experimenting will not be limited solely to technology. The Buena Park theatre is the company’s first example of its “Cultureplex” concept in the US. 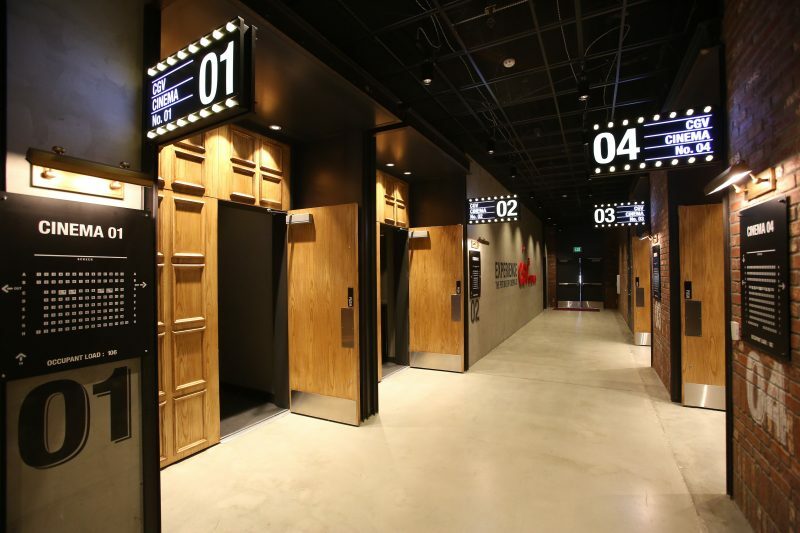 Rather than a multiplex, CGV aims to transform each of its cinemas into venues that highlight a vast cultural experience. That means not only restaurants and bars that serve unique food and beverages such as soju cocktails, but bookstores, event space, concerts and conventions. Actually, the opening of Buena Park was a bit of a coming-out party for Richardson as a CGV executive. With decades of exhibition experience running both Landmark Theatres and Sundance Cinemas previously, Richardson was only brought onboard in early January. He is so new to the company that when addressing the audience during the grand opening Richardson spoke as if he was still an outsider. He related how when interviewing for the job he visited the company’s headquarters in Korea and was “seduced” upon seeing the different types of cinemas CGV operated. 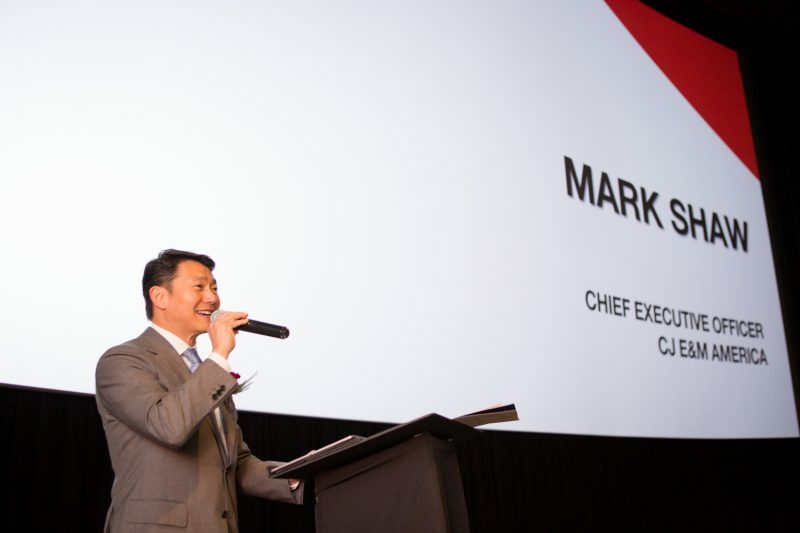 Shaw reported that CGV is very close to announcing another new cinema in what he described as “a very similar type of location.” What he means by that is it will be in an area where there is a large Asian American population, allowing the chain to differentiate itself from competitors through showing a mix of both Hollywood and Asian titles.